Click on the links below for easy corset making tips on how to make corsets. The first lot are tutorials by Sew Curvy and tutorials that we have commissioned for this website. Then there follows a Directory of Corset Making Tutorials which is full of links to other free corset making tutorials and information on the internet. Scroll right down and follow all the corset making goodness! Lots of information on corset flossing including a list of further resources and the best materials to use for the job. 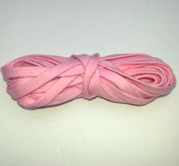 A few different uses for knicker elastic and how to manage it. 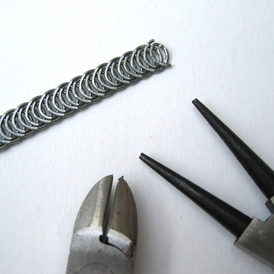 How to effortlessly deal with spiral wire boning. It's easy peasy to cut when you know how. 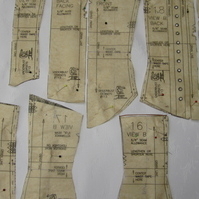 Instructions on how to accurately trace and mark a corset pattern first onto paper in order to preserve your master pattern, and then onto fabric. 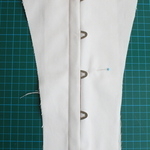 Information on why and how to make a corset mock up before you start work on your final garment. Includes essential fitting notes. The busk is often what puts people off making a corset. Find out how easy it is to insert a busk here. 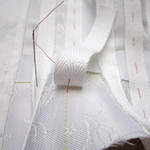 People often wonder how to sew straight boning channels which look great on the outside of the corset. 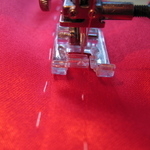 Here's one easy way to ensure perfectly straight stitching. 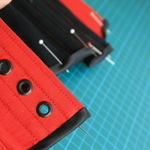 How to give your corset a neat and professional finish with binding. A very quick guide to corset construction from beginning to end. You can see that it's not really a daunting project, all you need is patience. It is easier to make corsets when you understand how they relate to the body. Here is a little guide on which books you can read to find out further information, and why you should read them. "corset making tips and tricks"
This is a long one but it contains all the information. Read all the entries and all the comments. I promise, you'll find some real gems! A video demonstrating the use of Clover pressing bars! A video overview of how to make a WW1 Edwardian corset including a quick way to create lapped seams for the corset. This is a brilliant article by my friend and collegue Kate Moir of "Totally Waisted". She is still the expert on how to make corsets appear to be totally balanced when infact they are totally different on each side. This thread on live journal discusses raising the bust line for a larger bust. This method works. Try it. If you want all of this information and more under one roof, then my e-book "Corset Making from beginner to intermediate" is the thing. Click here for more info and a preview. This is a tutorial on how to make Truly Victorian patterns available on this site. so that you can colour co-ordinate your projects and let your imagination run completely wild! If you want to come and learn in person there corsetry classes for beginners, intermediates and advanced, and also masterclasses specialising in honing specific corset making techniques.